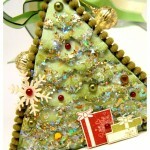 30 Responses for "O’ Christmas Tree…"
Amazing project! It is good to hear that the scrap room is almost done. I will pray for your mom and all goes well. Wow… if anyone can do it all… it’s you! Hang in there – it soon will be all done and then you can relax! 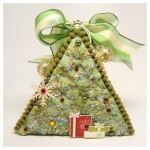 I’ve loved all your projects so far – they’re absolutely fabulous! Gotta run myself… Talk to you later! PS. Prayers for your mom’s court case tomorrow and hugs to everyone! I have no idea how you are doing it all….you are in my prayers!!! Great project today – thanks for sharing. Prayers for your mom too! Beautiful! 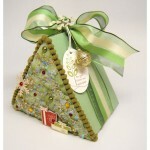 Isn’t it amazing how many great things can be made with a triangle! At least with all the moving, you know you are getting to be a pro! Hope everything goes well for your mom tomorrow, tell her to take a deep breath, have faith, and be as strong as she can. She’s got lots of fans and we’re rooting for her! Hope you can take some time for yourself too. Like this page very much! Thank you! Thamk you for you information. Nobody can casually succeed, it comes from the thorough self-control and the will. Good quality. I washed several times and Cheap Hats have held up well. Make high profits selling these caps & Wholesale Hats . Very high quality with adjustable Velcro backs so one size fits all.